Warning! GMO-Food can kill you! If the government of Ghana is not trying, to allow BIG Western Pharma, to miss-use Ghanaians in criminal Ebola Vaccine Trials, well... then is still the option, to allow BIG Western Pharma, to use Ghana as a PLAY-GROUND, for GEN-MANIPULATED food, and crops! 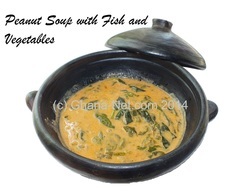 Don`t allow any Ghana government, to poison you! Government of Ghana has given permission, to POISON Ghanaian popoulation! Why are GM foods being sold in Ghana without labels?! Food products such as soya and corn, imported from the USA, containing GMO ingredients are being sold to unsuspecting Ghanaian consumers without labels indicating contents. Far from warning the consumer with the appropriate caveat emptor, about the presence of GMOs some of these suspected GMO products on our markets even carry the label “all natural”! Jeffrey M. Smith, the most well-known researcher of genetically modified organisms (GMOs) and foods, has written the definitive exposé on the grave risks and dangers of GMOs in his engaging book Seeds of Deception. This is one of very few books that have the potential to awake the general public to grave risks and dangers of GMOs. It is both a fascinating read and very well documented. For an excellent 10-page summary of the book, click here. Below is a shorter article in which Mr. Smith which reveals the depth and severity of this huge health risk. Please help to spread this vital news far and wide. In a study in the early 1990's rats were fed genetically modified (GM) tomatoes. Well actually, the rats refused to eat them. They were force-fed. Several of the rats developed stomach lesions and seven out of forty died within two weeks. Scientists at the FDA who reviewed the study agreed that it did not provide a "demonstration of reasonable certainty of no harm." In fact, agency scientists warned that GM foods in general might create unpredicted allergies, toxins, antibiotic resistant diseases, and nutritional problems. Internal FDA memos made public from a lawsuit reveal that the scientists urged their superiors to require long-term safety testing to catch these hard-to-detect side effects. But FDA political appointees, including a former attorney for Monsanto in charge of policy, ignored the scientists' warnings. The FDA does not require safety studies. Instead, if the makers of the GM foods claim that they are safe, the agency has no further questions. The GM tomato was approved in 1994. According to a July 27, 2004 report from the US National Academy of Sciences (NAS), the current system of blanket approval of GM foods by the FDA might not detect "unintended changes in the composition of the food." The process of gene insertion, according to the NAS, could damage the host's DNA with unpredicted consequences. The Indian Council of Medical Research (ICMR), which released its findings a few days earlier, identified a long list of potentially dangerous side effects from GM foods that are not being evaluated. The ICMR called for a complete overhaul of existing regulations. The safety studies conducted by the biotech industry are often dismissed by critics as superficial and designed to avoid finding problems. Tragically, scientists who voice their criticism, as well as those who have discovered incriminating evidence, have been threatened, stripped of responsibilities, denied funding or tenure, or fired. For example, a UK government-funded study demonstrated that rats fed a GM potato developed potentially pre-cancerous cell growth,  damaged immune systems, partial atrophy of the liver, and inhibited development of their brains, livers and testicles. When the lead scientist went public with his concerns, he was promptly fired from his job after 35 years and silenced with threats of a lawsuit. Americans eat genetically modified foods everyday. Although the GM tomato has been taken off the market, millions of acres of soy, corn, canola, and cotton have had foreign genes inserted into their DNA. The new genes allow the crops to survive applications of herbicide, create their own pesticide, or both. While there are only a handful of published animal safety studies, mounting evidence, which needs to be followed up,suggests that these foods are not safe. Rats fed GM corn had problems with blood cell, kidney and liver formation. Mice fed GM soy had problems with liver cell formation and pancreatic function, and the livers of rats fed GM canola were heavier. Pigs fed GM corn on several Midwest farms developed false pregnancies or sterility. Cows fed GM corn in Germany died mysteriously. And twice the number of chickens died when fed GM corn compared to those fed natural corn. How much "natural Food" is in our food? This question is to be ask, the government of Ghana! Soon after GM soy was introduced to the UK, soy allergies skyrocketed by 50 percent. Without follow-up tests, we can't be sure if genetic engineering was the cause, but there are plenty of ways in which genetic manipulation can boost allergies. GM soy currently consumed in the US contains a gene from bacteria. The inserted gene creates a protein that was never before part of the human food supply, and might be allergenic. Sections of that protein are identical to those found in shrimp and dust mite allergens. According to criteria recommended by the World Health Organization (WHO), this fact should have disqualified GM soy from approval. The sequence of the gene that was inserted into soy has inexplicably rearranged over time. The protein it creates is likely to be different than the one intended, and was never subject to any safety studies. It may be allergenic or toxic. The process of inserting the foreign gene damaged a section of the soy's own DNA, scrambling its genetic code. This mutation might interfere with DNA expression or create a new, potentially dangerous protein. The most common allergen in soy is called trypsin inhibitor. GM soy contains significantly more of this compared with natural soy. The only human feeding study ever conducted showed that the gene inserted into soybeans spontaneously transferred out of food and into the DNA of gut bacteria. This has several serious implications. First, it means that the bacteria inside our intestines, newly equipped with this foreign gene, may create the novel protein inside of us. If it is allergenic or toxic, it may affect us for the long term, even if we give up eating GM soy. The same study verified that the promoter, which scientists attach to the inserted gene to permanently switch it on, also transferred to gut bacteria. Research on this promoter suggests that it might unintentionally switch on other genes in the DNA—permanently. This could create an overproduction of allergens, toxins, carcinogens, or antinutrients. Scientists also theorize that the promoter might switch on dormant viruses embedded in the DNA or generate mutations. Unfortunately, gene transfer from GM food might not be limited to our gut bacteria. Preliminary results show that the promoter also transferred into rat organs, after they were fed only a single GM meal. This is only a partial list of what may go wrong with a single GM food crop. The list for others may be longer. Take for example, the corn inserted with a gene that creates its own pesticide. We eat that pesticide, and plenty of evidence suggests that it is not as benign as the biotech proponents would have us believe. Preliminary evidence, for example, shows that thirty-nine Philippinos living next to a pesticide-producing cornfield developed skin, intestinal, and respiratory reactions while the corn was pollinating. Tests of their blood also showed an immune response to the pesticide. Consider what might happen if the gene that produces the pesticide were to transfer from the corn we eat into our gut bacteria. It could theoretically transform our intestinal flora into living pesticide factories. GM corn and most GM crops are also inserted with antibiotic resistant genes. The ICMR, along with the American Medical Association, the WHO, and organizations worldwide, have expressed concern about the possibility that these might transfer to pathogenic bacteria inside our gut. They are afraid that it might create new, antibiotic resistant super-diseases. The defense that the biotech industry used to counter these fears was that the DNA was fully destroyed during digestion and therefore no such transfer of genes was possible. The human feeding study described above, published in February 2004, overturned this baseless assumption. No one monitors human health impacts of GM foods. If the foods were creating health problems in the US population, it might take years or decades before we identified the cause. One epidemic in the 1980's provides a chilling example. A new disease was caused by a brand of the food supplement L-tryptophan, which had been created through genetic modification and contained tiny traces of contaminants. The disease killed about 100 Americans and caused sickness or disability in about 5-10,000 others. The only reason that doctors were able to identify that an epidemic was occurring, was because the disease had three simultaneous characteristics: it was rare, acute, and fast acting. Even then it was nearly missed entirely. Studies show that the more people learn about GM foods, the less they trust them. In Europe, Japan, and other regions, the press has been far more open about the potential dangers of genetic manipulation. Consequently, consumers there demand that their food supply be GM-free and manufacturers comply. But in the US, most people believe they have never eaten a GM food in their lives (even though they consume them daily). Lacking awareness, complacent consumers have been the key asset for the biotech industry in the US. As a result, millions of Americans are exposed to the potential dangers, and children are most at risk. Perhaps the revelations in the reports released on opposite sides of the planet will awaken consumers as well as regulators, and GM foods on the market will be withdrawn. © Copyright 2004 by Jeffrey M. Smith. Permission is granted to publishers and webmasters to reproduce this article. Please contact info@responsibletechnology.org to let us know who you are and what your circulation is, so we can keep track. For an excellent 10-page summary of Jeffreys's most excellent book on the risks and dangers of GMOS, click here. To become more informed of the dangers of GM foods, to download a letter to food manufacturers, and to learn how to avoid buying and eating GM foods, see Mr. Smith's excellent website of The Institute for Responsible Technology. You can also sign up for their quality, free newsletter there. This is the first in a regular column about genetically modified foods by Jeffrey M. Smith. He is the author of Seeds of Deception: Exposing Industry and Government Lies about the Safety of the Genetically Engineered Foods You're Eating, and the Director of the Institute for Responsible Technology. 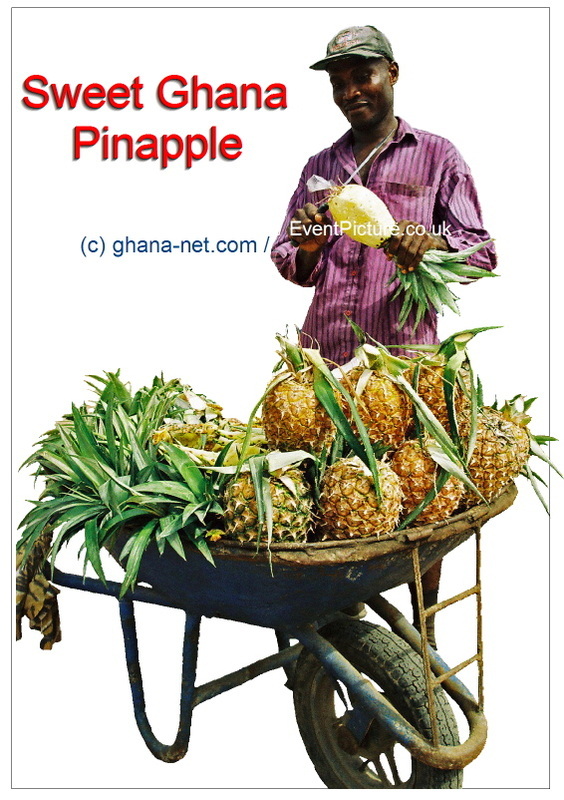 Soon genetically modified Ghana pinapple? Inform your media and political representatives of this important information on dangerous GMOs and genetically modified foods. To contact those close to you, click here. Learn more about major health cover-ups which put your health at risk and other ways to improve your health in this lesson from the free Insight Course. Read concise summaries of revealing major media reports on the risks and dangers of GMOs and genetically modified foods available here. Spread this news on the risks and dangers of GMOs to your friends and colleagues, and bookmark this article on key news websites using the "Share This" icon on this page, so that we can fill the role at which the major media is sadly failing. Together, we can make a difference. Ewen, SWB & Pusztai, A. (1999) Effects of diets containing genetically modified potatoes expressing Galanthus nivalis lectin on rat small intestine. Lancet 354, 1727-1728. Personal communication with Arpad Pusztai.